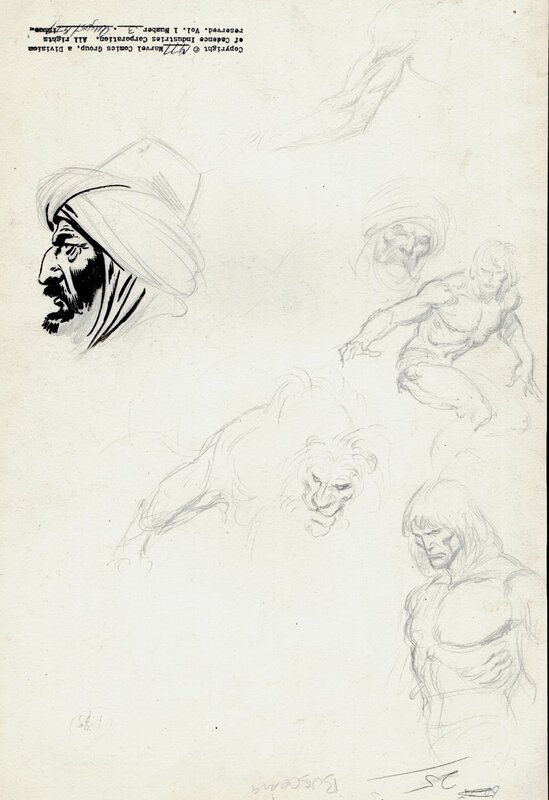 Click Here To See Drawings If Conan & Tarzan On Back Of Page! 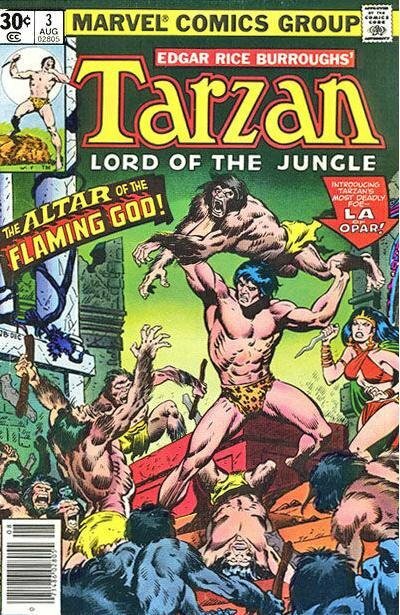 Click Here To See Tarzan #3 Comic Book! 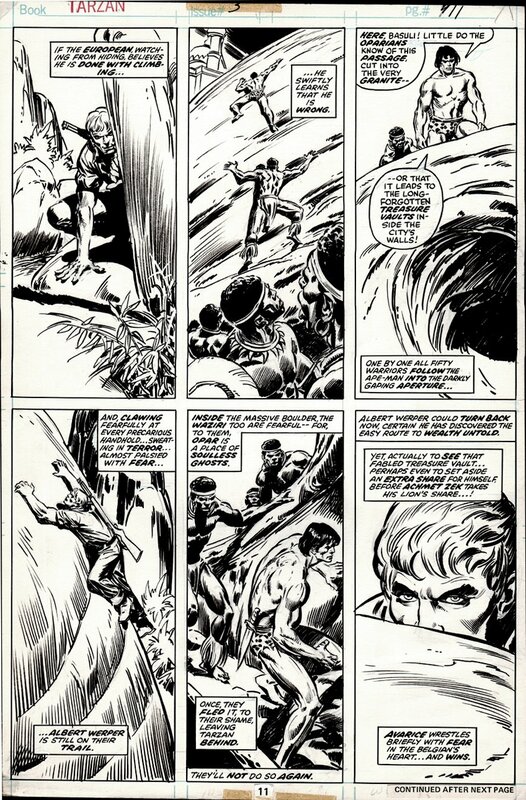 Check out this very nice 1977 BRONZE AGE Tarzan page, which was penciled by the great John Buscema, and inked by Tony DeZuniga, from the story titled: "The Altar of the Flaming God!" This nice page features Tarzan and his friends climbing a wall from Part 3 of "Tarzan and the Jewels of Opar!" Check out the nice penciled and also inked drawings on back of this page in red link above. BRONZE AGE Tarzan pages are getting increasingly hard to find, so don't miss out on a great opportunity here to own a nice Bronze Age 1977 Tarzan page! ALL art on our website (including this one) are able to be purchased with VERY fair time payments, and trades are always considered towards "ANY" art on our website! Just send us an email to mikeburkey@aol.com and we can try to work something out.